Norwalk, Conn. – The Bertone-designed Alfa Romeo Giulietta Sprint Speciale was introduced in 1957 at the Turin Motor Show. 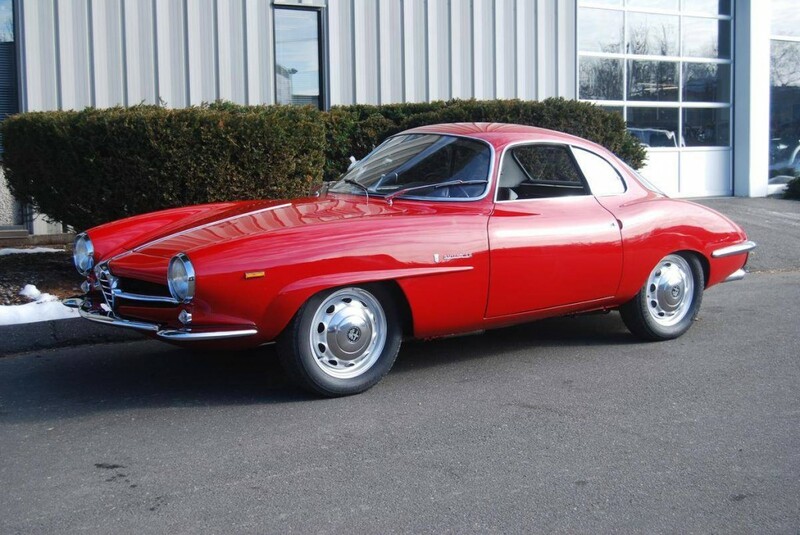 This rocket-like interpretation of the Giulietta Sprint Coupe, inspired by Alfa Romeo’s famous BAT concept cars, was penned by designer Franco Scaglione and achieved a record (for a production car) .28 coefficient of drag, not bested for over twenty years after the car’s introduction. With its aerodynamic body, the car was capable of over 100 mph with a tiny1290 cc twin-cam engine. In 1963, disc brakes were fitted and the engine grew from a 1300cc to a 1600cc, which accompanied a name change from Giulietta to Giulia (the ‘grown-up’ Giulietta). Some small interior changes were made also but the exterior remained unchanged, save for the name badges. With twin Weber carburetors, the new 1600 cc engine, made 112 bhp and with a 5-speed transmission allowed a top speed of 113 mph and a 0-to-60 time of 10.9 seconds, comparable to the Lotus Elite and Porsche 356B of the same vintage. Alongside of the Guilia SS, ARI will display a 1968 Ginetta G16 race car. The first of seven cars built by Ginetta Cars, Ltd. to compete in the European FIA 2 liter GT Championship, this car was campaigned in SCCA races on the West Coast for two seasons and then parked for the next 18 years. In 1987, G16/001 was purchased by Trevor Needham, a well-known Ginetta racer and restorer, and returned to England where it underwent a complete rebuild. The original Coventry Climax 2 liter engine having been sold previously, the car was fitted with a period correct Lester Owen BMW M10 2 liter engine. Trevor raced G16/001 in the International Supersports Cup series in Europe from 1992-1997, taking numerous class wins. The car was sold to its third and current owner in November, 1999 and shipped to the US where it was mechanically restored and brought up to US vintage racing standards by Vintage Racing Services of Stratford, Conn. 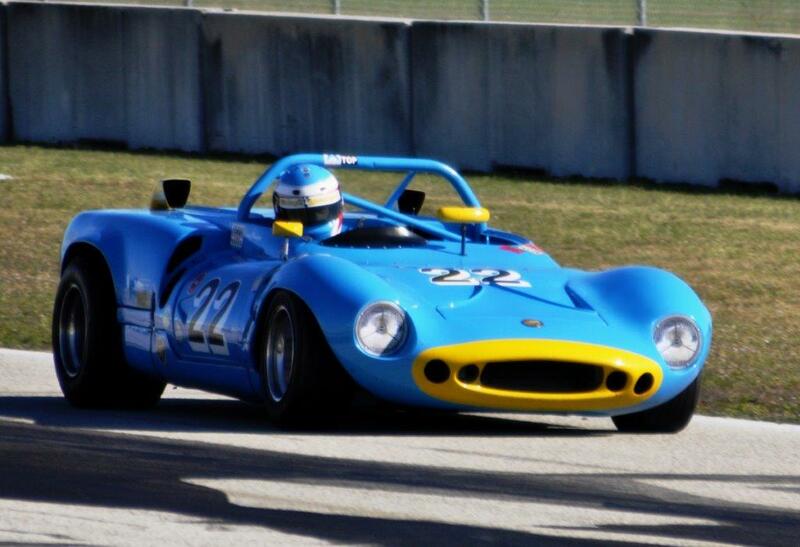 It has been successfully raced in many events on the vintage circuit including the Monterey Historic Races, as well as winning the SVRA Group 5 and overall Endurance Championship.